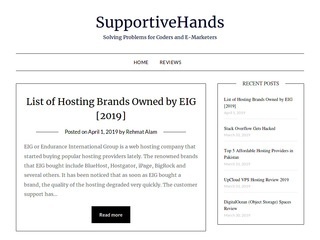 If you have any product related to website hosting and eMarketing niche, I'd be more than happy to review it on my blog. The blog is agent and during 2013, it ranked very high in Google. I stopped blogging for a while but now getting started again. Your product will get high exposure to target visitors.